Staging a home can be a crucial selling point when it comes to marketing a property. But, it’s more than just a pretty photo representing the home that makes it marketable. 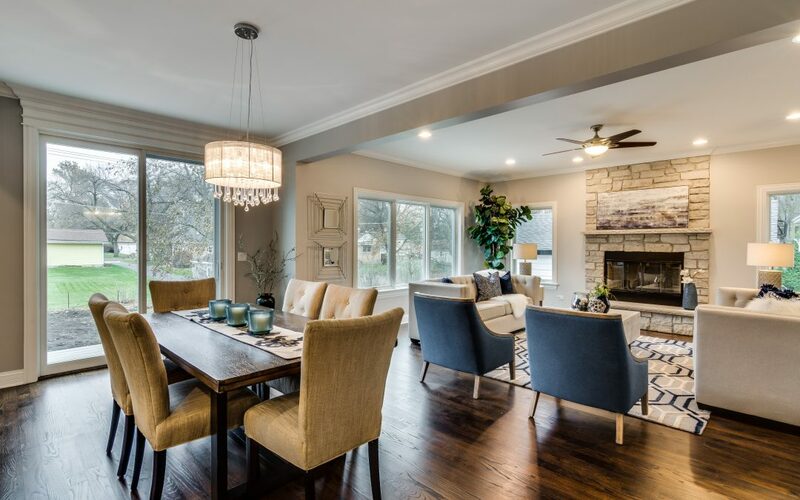 In fact, home staging is NOT about the “pretty photo” at all, it’s a combination of art, science, creativity, and psychology that connects the home buyer to the property emotionally, then prompting the sale. And you thought all we did was fluff pillows all day. Once you make the decision to list your property for sale, it’s important to change your mindset to begin to view your home as a product that must be merchandised and marketed properly. Just like cars, groceries or clothes, there is a method of getting the consumer to buy in. So, how do we get them to buy in? We begin by profiling who will most likely purchase your Naperville home. How will they live in the home? What lifestyle do they want to lead? Once we know the home buyers demographics and psychographics we then strategically set up the space making the property feel bright and spacious. We also manipulate the eye to focus on the positive features of the property and minimize the negatives. 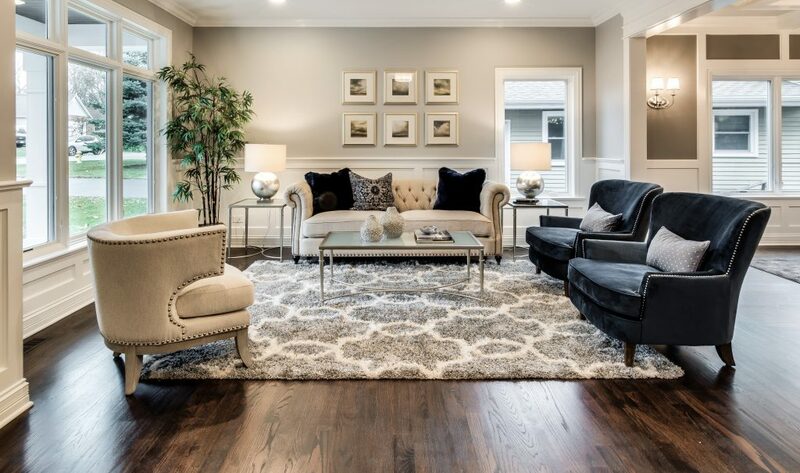 Before placing furniture in a room, Chicagoland Home Staging comes up with a plan to highlight each room’s focal point. A focal point is the center of interest or activity in that particular space. Look at any of our staged properties and you’ll notice well-positioned placement near a room’s best attributes. Our home stagers will also use a positioning trick angling the furniture for better traffic flow, or to highlight an existing focal point. We use a series of interior design principles in our home staging, like the “rule of three” which involves grouping items in odd numbers, which forces the eye to move around the space. In the early years of home staging, the idea was to neutralize the home with sterile colors and reduce the number of accessories used to remove its personality. At Chicagoland Home Staging we spruce up neutral by using pops of color, playing with texture and mixing metals to create a cohesive look. Our company will install the right amount of furniture and accessories to create a lived-in look that appeals to home buyers. We use our creativity to properly place pieces that will appear flawless together. Our home stagers have the ability, skill, and talent to use our imagination to create and solve your home’s dilemmas. We are increasingly tackling all-out transformations that aim to present compelling contemporary design. Home buyers these days want move-in ready properties, and it’s our job to create a cleaner, simpler lifestyle for the potential home buyers that showcase more flair and fun — than their current lifestyle making them want to move. One chance is all you have to make a first impression on a buyer. Contact us today to learn more about how we can showcase your property for sale.